Computational Complexity: What if P = NP? A New York Times essay looks at the hardness of understanding math. The essay quotes from the book The Millenium Problems by Keith Devlin which describes the seven million-dollar Clay Mathematical Institute Millenium Problems including the P versus NP question. So I took a peek into Devlin's book. Devlin doesn't hide his feelings about the P versus NP problem as "the one most likely to be solved by an unknown amateur." He does make a point that if P = NP we can break RSA and "the current dependence of the Western economies on secure communications over the Internet demonstrates just how high are the P = NP stakes." Let's play make believe and assume P = NP in a strong way, say that we can find satisfying assignments of Boolean formula in nearly linear time with small constants. It will have a dramatic influence on the Western economy but not at all in the way Devlin perceives. We'll lose public-key cryptography but what we will gain from it will make the whole internet look like a footnote in history. Learning becomes easy by using the principle of Occam's razor--we simply find the smallest program consistent with the data. Near perfect vision recognition, language comprehension and translation and all other learning tasks become trivial. We will also have much better predictions of weather and earthquakes and other natural phenomenon. Everything will be much more efficient. Transportation of all forms will be scheduled optimally to move people and goods around quicker and cheaper. Manufacturers can improve their production to increase speed and create less waste. And I'm just scratching the surface. P = NP would also have big implications in mathematics. One could find short fully logical proofs for theorems but these fully logical proofs are usually extremely long. But we can use the Occam razor principle to recognize and verify mathematical proofs as typically written in journals. We can then find proofs of theorems that have reasonably length proofs say in under 100 pages. A person who proves P = NP would walk home from the Clay Institute not with one million-dollar check but with seven. How would a strong P=NP generate proofs for theorems <100 pages? Wouldn't we still have to iterate through all of them and verify? From a given mathematical expression, how could strong P=NP be used to prove it? to show that SAT is intractable by showing that P \neq NP. Lance, this was a fun post. I've been thinking about writing a science-fiction fantasy story wherein one person, for reasons unknown, performs subconsciously as a SAT oracle. It was intended to be an analysis of the sort you and Devlin give, crossed with a satire of the "Humans are better than computers because we are nondeterministic" argument you hear now and then. However, I gave up because I couldn't get beyond really fuzzy ideas, and figured I needed to learn (still) more theory. But I have a question - isn't finding the smallest program to fit some data exactly equal to finding the Kolmogorov complexity of that data? And this problem is Uncomputable, so P=NP wouldn't help at all (in the general case). Are you making extra assumptions about what the data are, or am I missing something else? Is mathematical-theorem-data actually less general than data? A seven million dollar award for showing "P \neq NP" is okay, and it makes sense that we would have an easier and more efficient life assuming P=NP. However, a person who happens to (constructively) prove P=NP is better to be somehow fined instead, for introducing a totally disappointing world where even creativity has lost its meaning by being automated! Hi Mahdi... perhaps then we would see a new brand of luddites if P=NP. I would rather like to live in Algorithmica, though. Technology can be used to liberate or to oppress... and *overall* it has so far lead us to liberation. One commentor correctly notes that finding the smallest program consistent with some data is not computable. I meant to say the smallest program with some reasonable (like quadratic) running time or even better the smallest circuit consistent with the data. These we can find if P = NP. 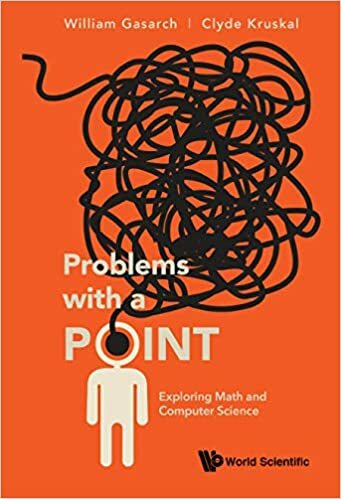 I'm curious...Devlin remarks that mathematics has reached the stage where the leading problems are incomprehensible to the experts, but cannot these same problems be recast into other problems that are more digestable ala Fermat? How can one check a proof of length $N$ in polynomial time in $N$? This is far from obvious to me, because each step of a proof can refer back to any of the prior conclusions of the proof, which makes checking rather complex. I believe that this proof is simple, and easy to understand. If you don't understand computers, just read the comments at the bottom. Suppose the salesman was blind. He had to walk at a random angle to find the cities. The edges that decompose the space of n, to find each vertex, also form a graph of intersecting points, which in turn form undirected edges. It could be said that a solution that efficiently determines what angle the next edge is formed at to decompose the space, also forms a directed graph as a set of potential solutions. Also 1 / e is a good number, check out the secretary problem sometime.